Previous reviews have compared surgical to non-surgical management of sciatica, but have overlooked the specific comparison between surgery and physical activity-based interventions. Systematic review using MEDLINE, CINAHL, Embase and PEDro databases was conducted. Randomised controlled trials comparing surgery to physical activity, where patients were experiencing the three most common causes of sciatica—disc herniation, spondylolisthesis and spinal stenosis. Two independent reviewers extracted pain and disability data (converted to a common 0–100 scale) and assessed methodological quality using the PEDro scale. The size of the effects was estimated for each outcome at three different time points, with a random effects model adopted and the GRADE approach used in summary conclusions. Twelve trials were included. In the short term, surgery provided better outcomes than physical activity for disc herniation: disability [WMD −9.00 (95 % CI −13.73, −4.27)], leg pain [WMD −16.01 (95 % CI −23.00, −9.02)] and back pain [WMD −12.44 (95 % CI −17.76, −7.09)]; for spondylolisthesis: disability [WMD −14.60 (95 % CI −17.12, −12.08)], leg pain [WMD −35.00 (95 % CI −39.66, −30.34)] and back pain [WMD −20.00 (95 % CI −24.66, −15.34)] and spinal stenosis: disability [WMD −11.39 (95 % CI −17.31, −5.46)], leg pain [WMD, −27.17 (95 % CI −35.87, −18.46)] and back pain [WMD −20.80 (95 % CI −25.15, −16.44)]. 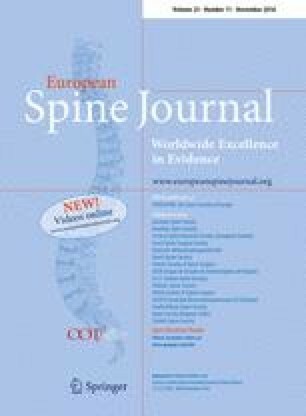 Long-term and greater than 2-year post-randomisation results favoured surgery for spondylolisthesis and stenosis, although the size of the effects reduced with time. For disc herniation, no significant effect was shown for leg and back pain comparing surgery to physical activity. There are indications that surgery is superior to physical activity-based interventions in reducing pain and disability for disc herniation at short-term follow-up only; but high-quality evidence in this field is lacking (GRADE). For spondylolisthesis and spinal stenosis, surgery is superior to physical activity up to greater than 2 years follow-up. Results should guide clinicians and patients when facing the difficult decision of having surgery or engaging in active care interventions. PROSPERO registration number : CRD42013005746. The online version of this article (doi: 10.1007/s00586-015-4148-y) contains supplementary material, which is available to authorized users. MF is a PhD student supported by the Chiropractic and Osteopathic College of Australasia (COCA) Research Limited. CGM is supported by a research fellowship funded by the Australian Research Council.